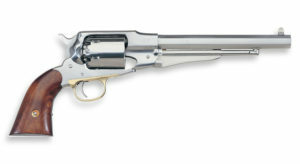 Davide Pedersoli Traditional Hawken muzzleloader. Its 725 mm octagonal barrel has a 1: 48″ twist rate that’s ideal for stabilizing a variety of bullets and lead balls. The caliber is 0.54 and amount of grooves 8. 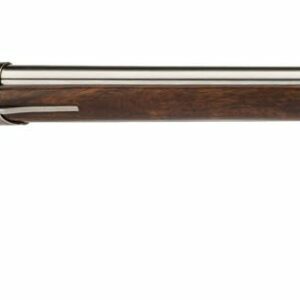 The strong barrel and the reduced dimensions make the rifle a reliable companion for hunting activities. The double set trigger and the adjustable buckhorn rear sight enable greater accuracy . The stock, made of American walnut, is enriched with a brass patch box, with bright brass also for the other furniture.